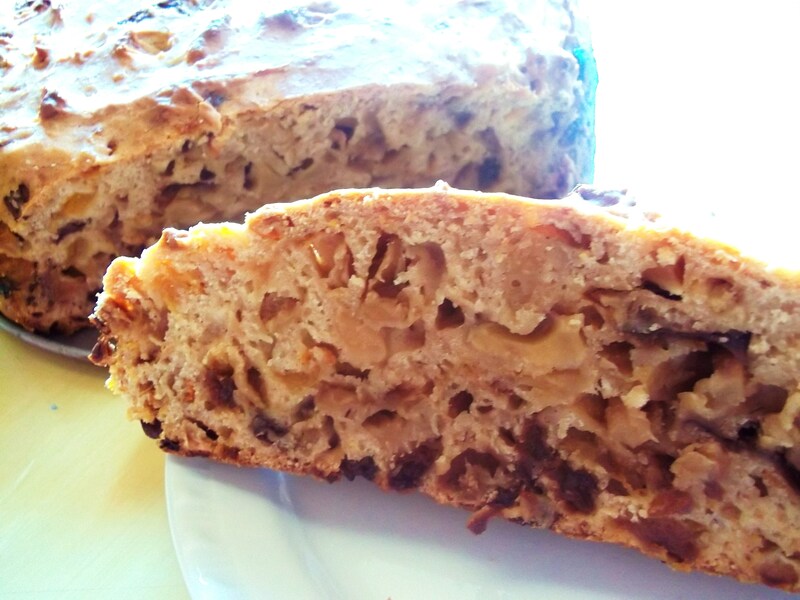 I was dubious about making this bread, thought it would be dry and flavorless like a stollen. 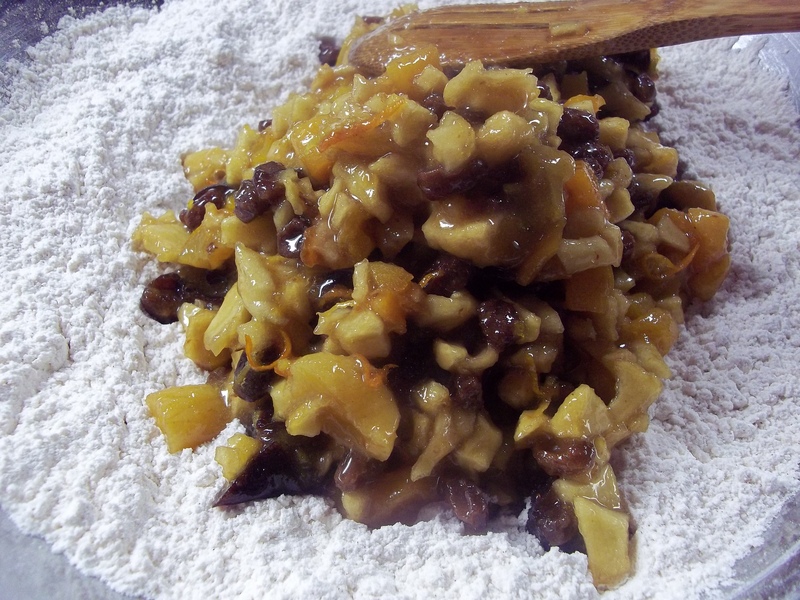 I’m not a fan of fruitcakes in general and despise candied citron, so I used dried apricots, apples, prunes, and raisins with lemon and orange zest in place of the citron. 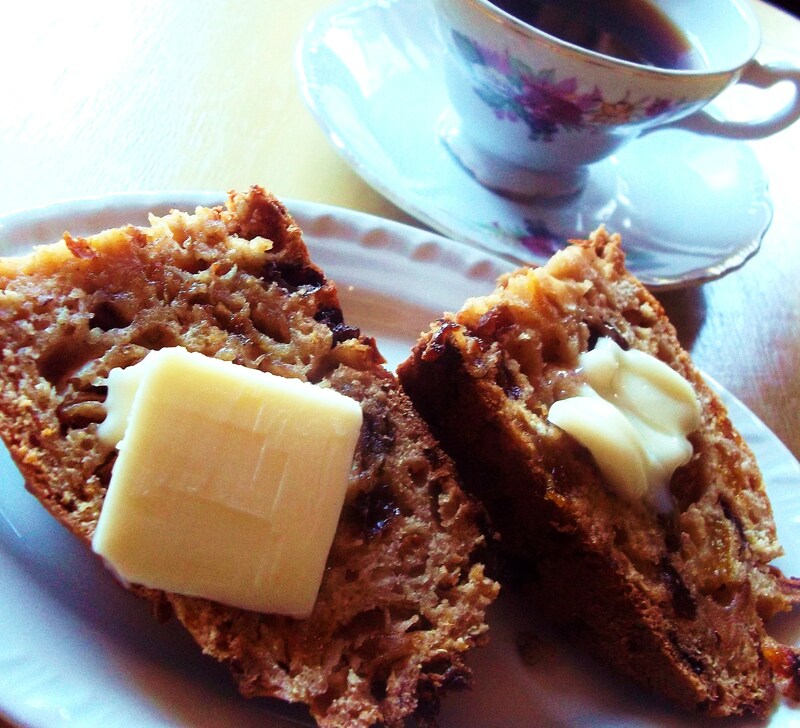 I have just had my first warm, buttery bite and don’t know what I’m going to do with the rest of the loaf in the house and me already wanting more. It’s bad enough that my son just handed me Girl Scout Thin Mints to go with my hummus salad I am still trying to finish, and there’s an entire lemon olive oil cake sitting prettily on a cake stand next to the Barm Brack. Double duty on the jogoline tonight, that’s the only way I will survive. Someone asked me last night if I “liked” Irish food. So far, I would have to say YES! 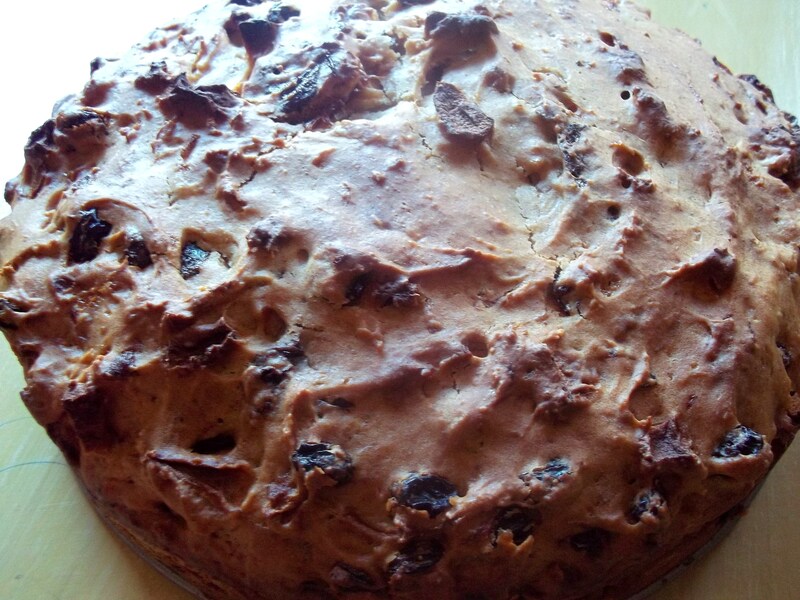 I won’t be pulling a Scarlett with this one and throwing my Barm Brack against the wall, in fact, I think I will add it to my annual Christmas baking list it’s so good…chewy on the outside and soft and gooey on the inside. Heat oven to 325 degrees. Grease an 8″ springform pan. 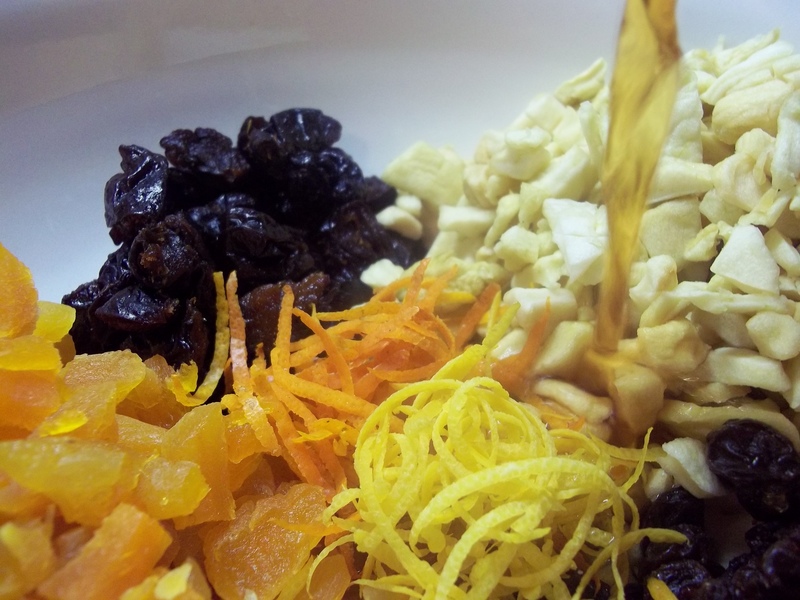 Place dried fruit in a large bowl. 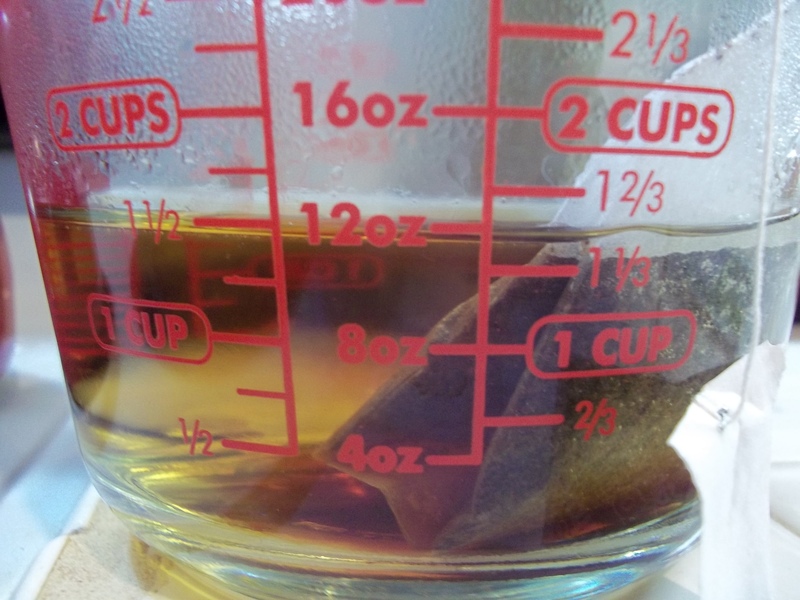 Pour brewed tea over the fruit. Add beaten egg, milk, and sugar to soaked fruit. Mix well. 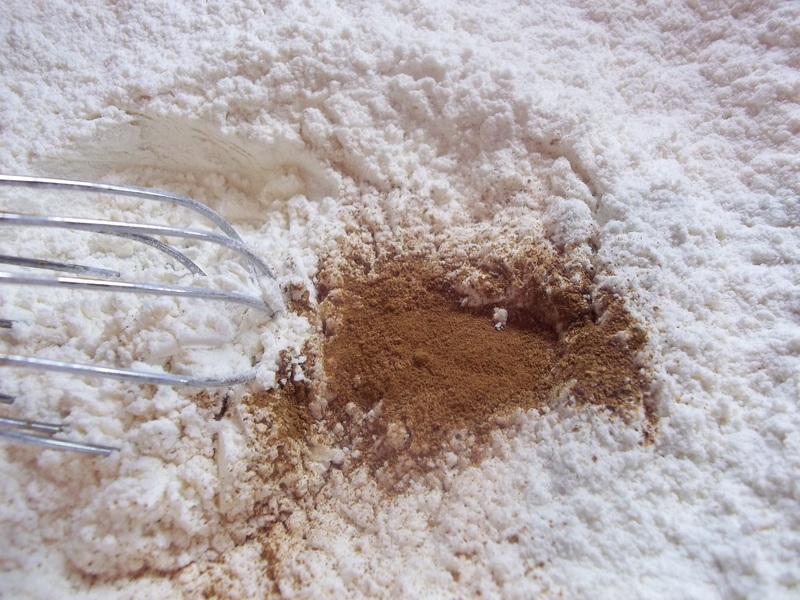 Fold wet ingredients into dry just until dry ingredients are moistened. Spoon into pan and bake for 1 hour and 45 minutes. Cool in the pan for 10 to 15 minutes and release lever on pan to open. 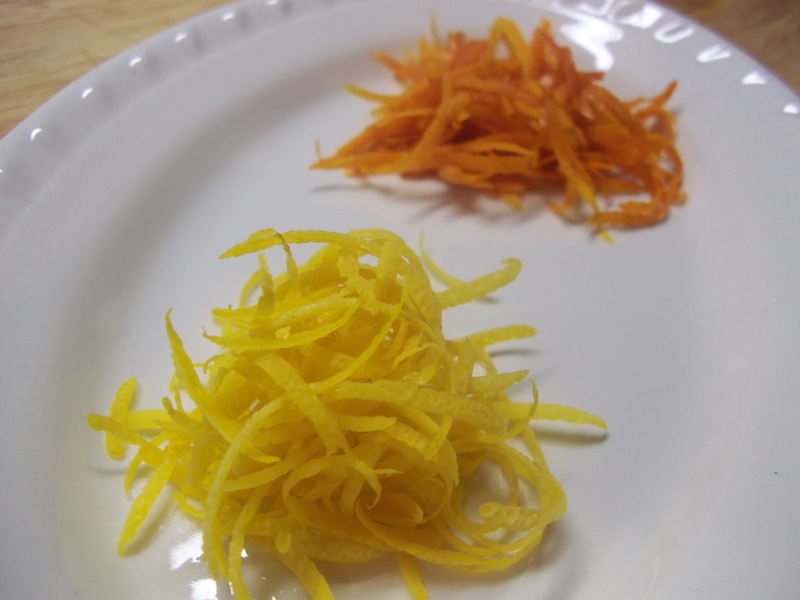 Serve with butter and tea. Note: I used a combination of several recipes and had to include the milk when my recipe was too dry. 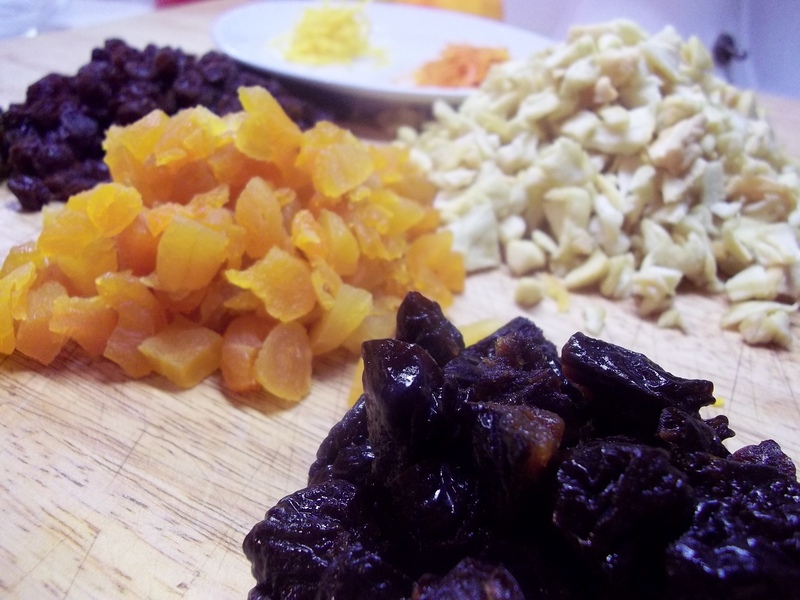 Most recipes called for around one pound of dried fruit. 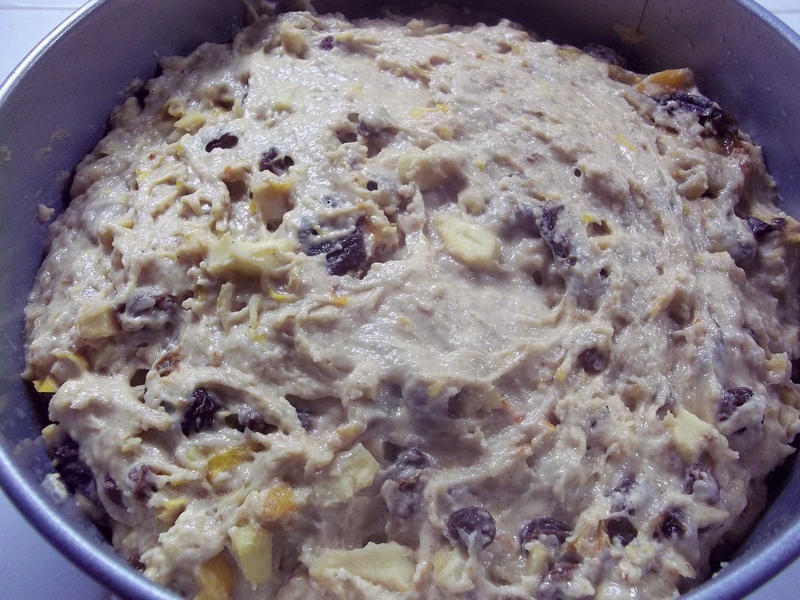 I would think that you could substitute any dried fruit in this recipe and I plan to try it with dried blueberries, cranberries, and cherries, but I really think it was the large amount of dried apples that made this one so moist on the inside.